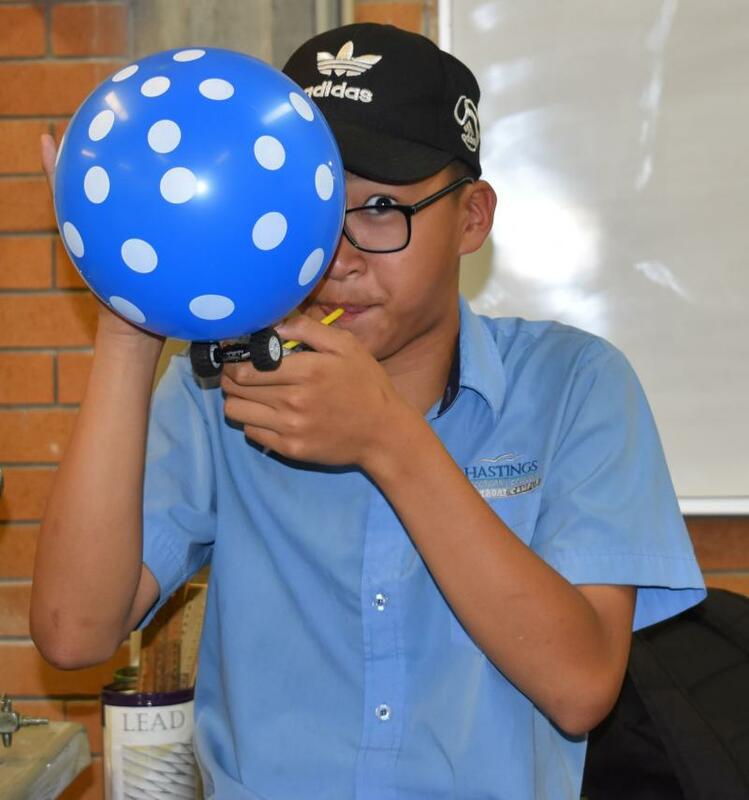 Have you ever blown up a balloon and then let it go, without tying it shut? Do you think you could build a car powered by nothing but air? 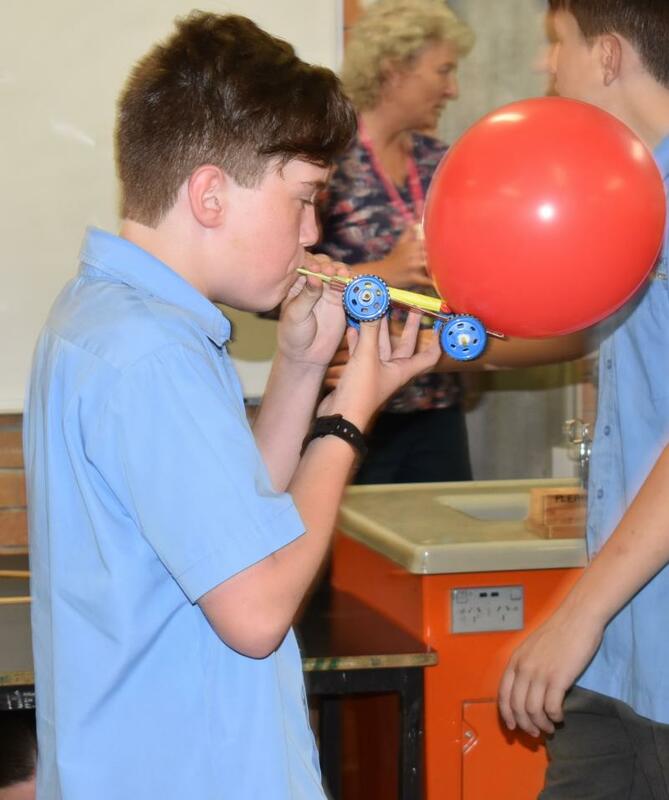 A balloon-powered car is pushed forward by air escaping from a balloon. 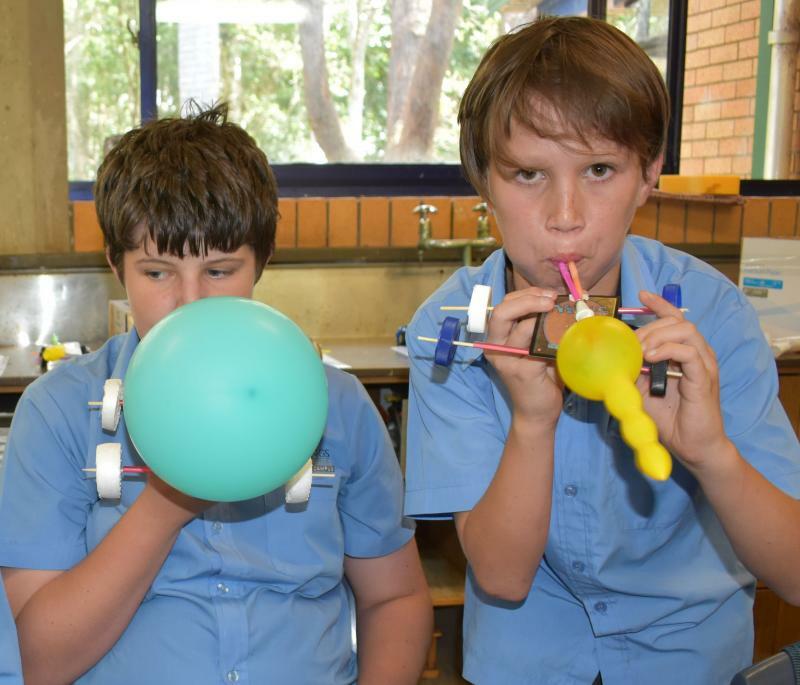 Can you imagine how you would want your own balloon-powered car to look? 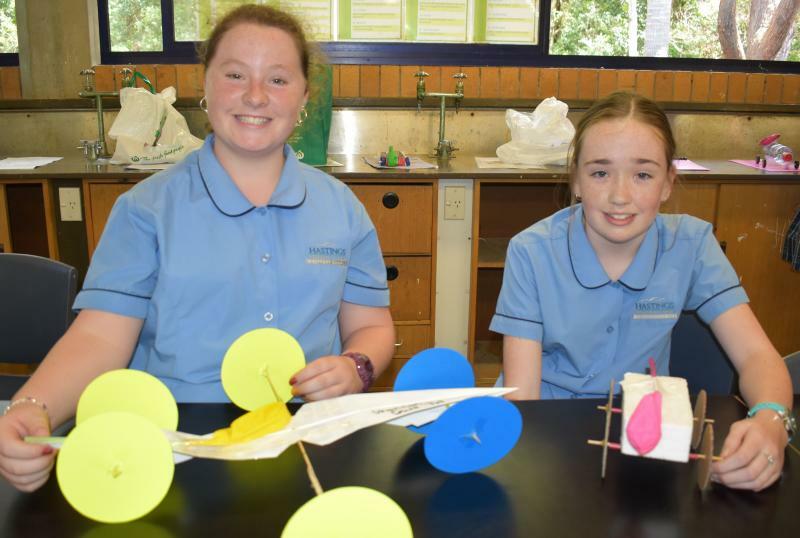 Year 7 students where challenged to design a car that will travel as far as possible. 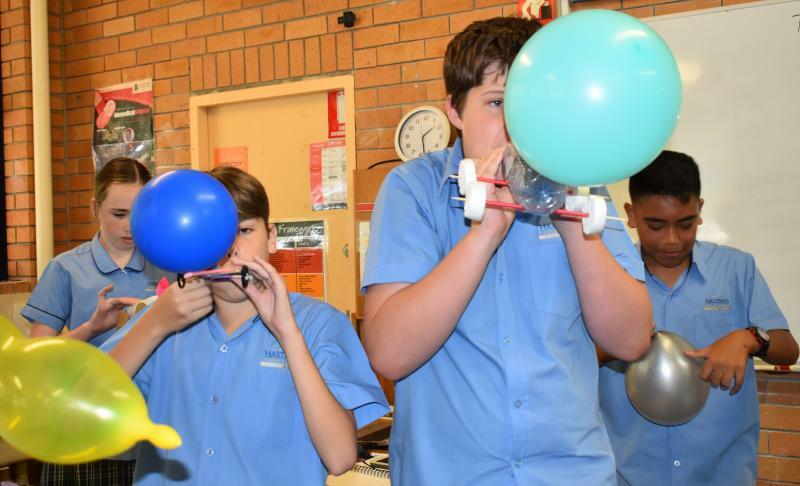 They were excited to build and test their balloon-powered car to better understand the science ideas related to rocket propulsion. They use concepts of mass and force to work out ways to improve the distance travelled by their car. So, how does the experiment work? The air rapidly escapes from the balloon, making it zip all over the room! 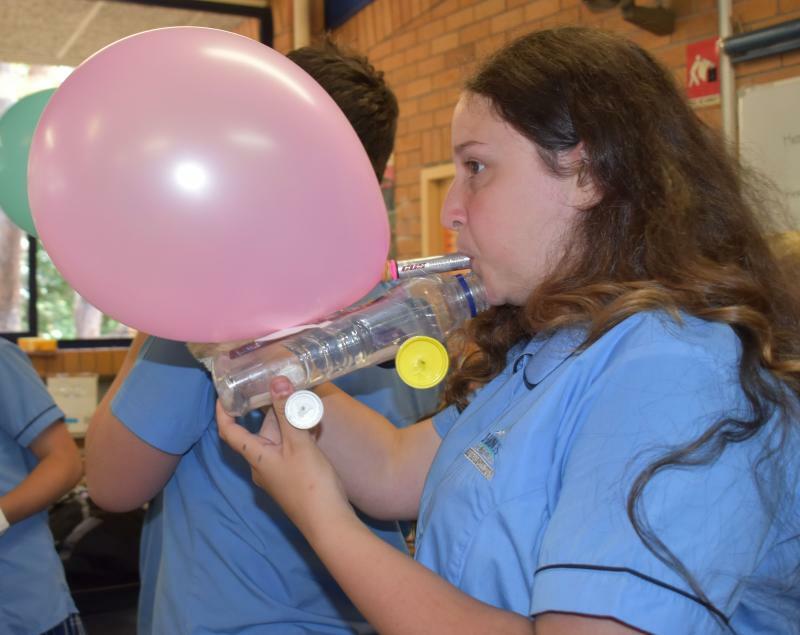 This is because when you blow up a balloon, you increase the air pressure inside the balloon. This air pressure stretches out the rubber balloon material, just like stretching a rubber band. Both the air pressure and the stretched rubber store potential energy, or energy that is "waiting" to do something. When you let the balloon go, the rubber contracts and the air is rapidly squeezed out the opening of the balloon. The potential energy inside the balloon is converted to kinetic energy, or energy of motion, of the fast-moving air through the opening. Because the air is pushed out rapidly backward, there is a reaction force that pushes the balloon forward. This principle comes from Newton's third law of motion, which states "for every action, there is an equal and opposite reaction." When you just let a balloon go on its own, it tends to fly around the room randomly and is almost impossible to steer. However, when you attach the balloon to a car, like the ones shown above, you can harness the balloon's energy to propel the car forward! 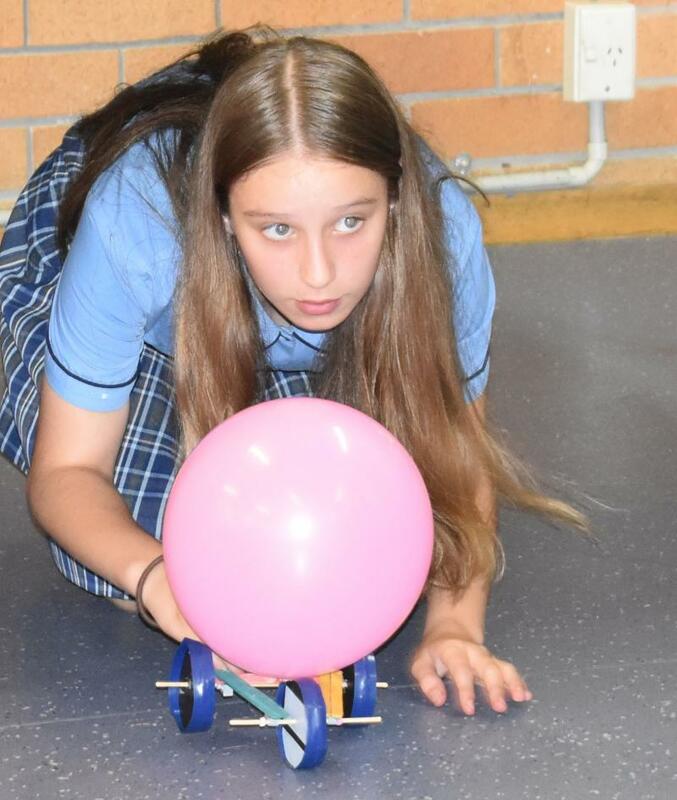 The goal of the project is to design, build, and test a car that is powered by nothing but a balloon.